Product #13650 | SKU Z-RA | 0.0 (no ratings yet) Thanks for your rating! The Zacuto HDMI Right-Angle Adapter is designed to re-route or eliminate unnecessary strain on your HDMI cables and compatible devices. With a fixed, right-angle position, it offers a sturdier connection in cases where the cable has to be bent due to space constraint and avoids signal losses due to loosening of cable. 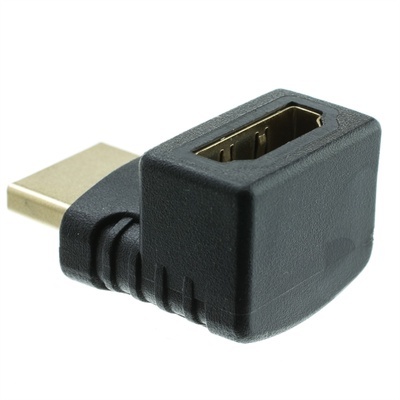 The right-angle male-to-female adapter can also be used to convert any standard HDMI cable to obtain a 9.5 to 10 mm connection.